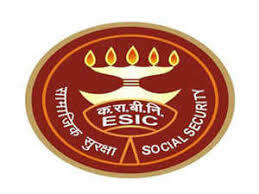 ESIC SSO Question Papers with Answers, ESIC SSO Solved Question Papers, ESIC Social Security Officer Question Papers Download – Employees State Insurance Corporation (ESIC) has recently published a new recruitment notification to fill up Social Security Officer Posts. Candidates who have interested they can apply online mode through the official site of ESIC before the last date. The selection process of ESIC based on scoring marks in the Preliminary Exam, Main Exam, so candidates who have applied for ESIC SSO jobs they must and download old question papers of ESIC SSO to get good awareness about the exam. Also, you learn about the difficulty level of SSO exam, the weightage of various topics and which part of the ESIC SSO Syllabus you have to focus more. To make your task easier, we have compiled below the previous year question papers of ESIC SSO Exam 2011, 2013, along with Answers. I hope these question papers will help you lot.